The function of Gas Proportional Valve version basically corresponds to the valve with three spool positions. The 2 spool position valve is, however, only equipped with solenoid . Instead of the 2nd proportional solenoid, a plug screw is installed. Due to the design principle, internal leakage which may increase over the life cycle is inherent to the valves.The tank line must not be allowed to run empty. With corresponding installation conditions, a preload valve must be installed. we have the following valves : Check Valve,directional valve ,Pressure Valve ,Flow Control Valve ,Catridge Valve ,proportional valve . If you have any inquiry please feel free to let me know . Siedman (Xiamen) Hydraulic Technology Co; Ltd is an professional supplier of hydraulic products, we have our own brand Mannesmann Rexroth, and also provide products of BOSCH-REXROTH. We provide good quality, best service and reasonable price. Our products include Pump, motors, cylinder,valves, manifolds and plates, electronics, Systems, power units, accumulators, filters, oil treatment, oil measurement technology, tools and configurators. After many years of development, we have established several agents home and abroad, offering comprehensive and advanced hydraulic solution for mechanical and engineering application, industrial automation, renewable energy market etc, we focus on providing products and service that consistently exceed our customers` expectations and meeting regulatory requirements. We deliver top quality product in time and achieve customer satisfaction through continual quality and process improvement. Please feel free to contact us for all your requirement. Looking for ideal Gas Proportional Valve Manufacturer & supplier ? We have a wide selection at great prices to help you get creative. 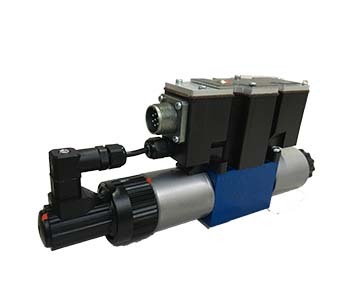 All the Hydraulic Solenoid Valve are quality guaranteed. We are China Origin Factory of Proportional Valve Control. If you have any question, please feel free to contact us.